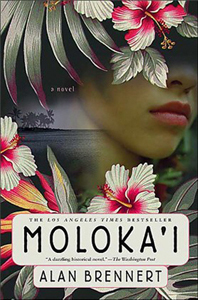 Posted in Literature, Love, Self-awareness, Writing and tagged as Alan Brennert, fiction, leprosy, Molokai, psychology. So glad you finally read this book. I remember sitting around your Mom and Dads’s kitchen table talking about this booka while back. It is one of my favorites,for the exact reasons you described. Historical/fiction. Your seamless correlation between past and present is just beautiful. Thank you. First of all my favorite genre is historical fiction as well. Secondly i was the kid that didn’t quite fit in in High School too. I so related to your words. The goods news for me is that although I still carry those insecurities they no longer consume as they did. One day at time………Thanks again for this blog. Just love reading it. Alison, I am an old friend of Beth’s. I enjoy reading your blog when Beth posts it on Facebook. You express a wonderful integrity in your encounter with life. When I read you say, “Does anyone ever get over who they once were, and thought they might always be?,” I thought of a therapist I like, Don Watson. He says these original scripts we learned are like our native tongue. We can learn a new language, and even grow to use that language most, or all of the time. (I even began to dream in Norwegian after I lived there for a year as a teenager.) But, put us back in our native environment – or an environment that is similar enough – and those old scripts, that old language comes back very easily. I like his analogy because it acknowledges that, yes, we can learn new scripts/languages. And yet, that the old ones will always still be a part of us. That is my experience. So, for me the answer to, “Does anyone ever get over who they once were, and thought they might always be?,” is yes and no and maybe. A lot depends on the environment we’re in and how it supports (or doesn’t support) our new language. (I was fairly fluent in Norwegian, and now all I remember is a few swear words. Go figure!) And a lot depends on how much we want to prioritize practicing the new language if it’s foreign and unappreciated in our current environment. That kind of undertaking is a lot of work. The only scripts/languages that are worth it to me are the ones that let me express or feel love and connection better – enough better than my native tongue to make it worth the effort of constantly to use the new tongue when no one around me does. Look forward to reading future posts! They make me think and feel. I love them. I am grateful that my “native language” is mostly lost to me now, but there is still a tenderness for the fragile ego of my past. I really appreciate you reading the blog and taking the time to correspond with me about it. Take care and I hope to hear from you again! movie and can’t get it out of our minds. I love that story too Angie! I used the opening and closing lines from that movie in my last post of December – called The Key to a Christmas Story.